How Do You Rate Keyboards? Keyboards vary in their design and function so much, from macro to hybrid, that it’s hard to compare them to each other. Therefore, this article will list ten of the best, most popular gaming keyboards on the market right now. These keyboards are not listed in a “top ten" order. I should mention here that I've put only one mechanical keyboard on this list due to the fact that these particular keyboards are so distinct that they truly warrant their own list (and there are many such out here). 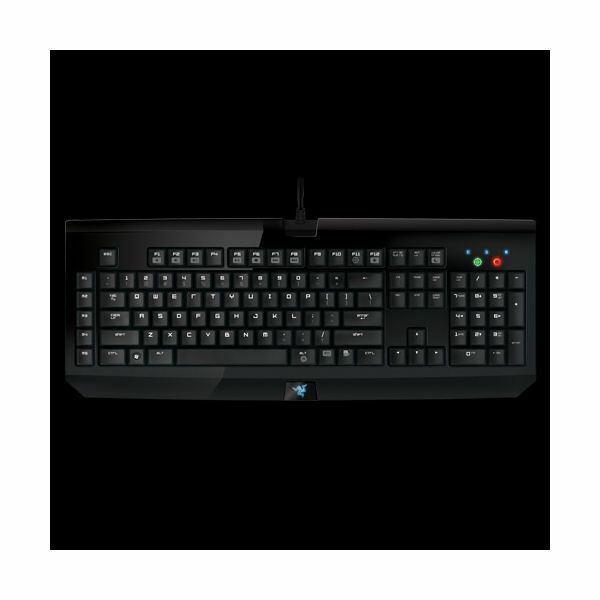 This keyboard list contains a variety of different keyboards that would appeal to beginning gamers and advanced ones alike. Feel free to leave comments on other keyboards that are great for the gaming experience; certainly, there are many more than the few I've listed here. As the most innovative and most expensive keyboard on the market (as far as I’m aware), I couldn’t help but put the Optimus Maximus keyboard on the list. Priced at almost $1600.00, this is out of the price range of most gamers, but you have to take a look at it! It’s the wave of the future. Each key is its own OLED display, so you can change the keys to a variety of different setups. You can switch from a Qwerty display to a gaming display. The OLED displays are color and fully customizable. If you have to have the best out there, then this is the keyboard for you. At the very least, it will make great conversation the next time you are with your gaming buddies. The Razer Black Widow is an affordable mechanical gaming keyboard that offers an excellent, responsive feel, much better than standard keyboards. It is made to accommodate adding macros easily and quickly with on-the-fly macro recording so you can record macros without even taking your eyes off the game. At $79.99, this keyboard is totally worth checking out. It's comes in both Mac and PC versions, and would be the perfect addition to any gamer's arsenal. 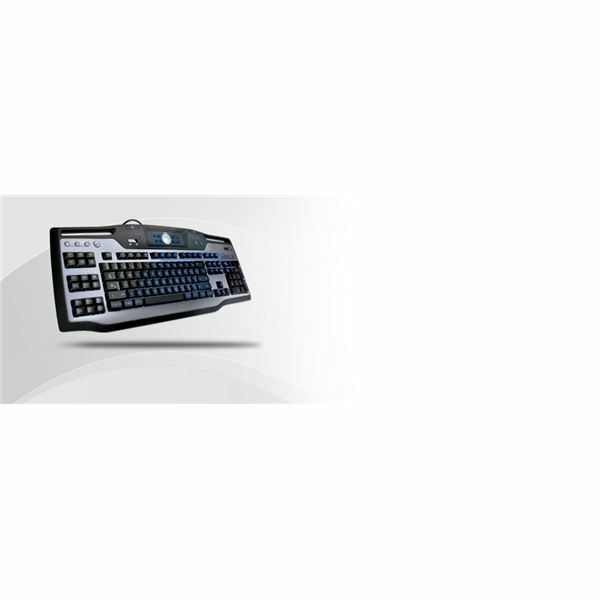 The Merc Stealth is an illuminated gaming keyboard that features a very easy to use hybrid design. This keyboard is also unique because the user can choose between three different colors for the backlighting: Blue, red, or purple. The movement keys are rubberized, which is nice for gameplay. The keyboard also has many macro features and includes 125 pre-defined mapping layouts. The Razer Tarantula is one of the most elegant keyboards on the market and is known for having extremely comfortable keys. This keyboard also comes with 32KB of onboard memory, which is enough to save about 5 custom game layout profiles. 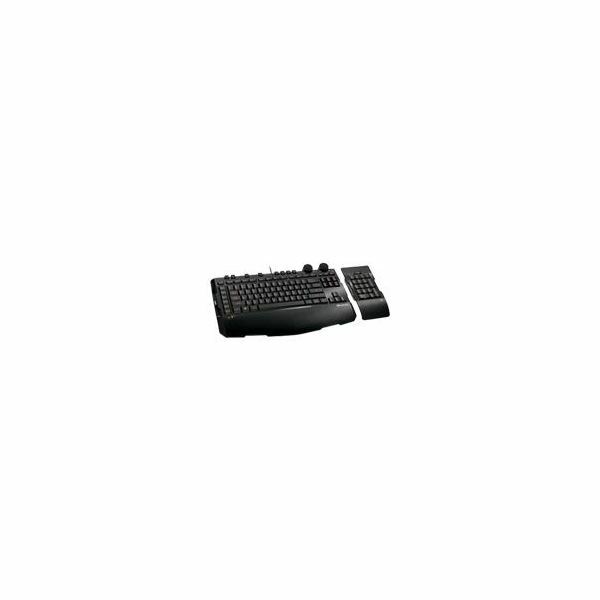 With a wickedly fast response time, this keyboard also includes 10 programmable hotkeys as well as two USB ports (which most gaming keyboards have). The Saitek Cyborg is a great upgrade to the popular, backlit Eclipse model. 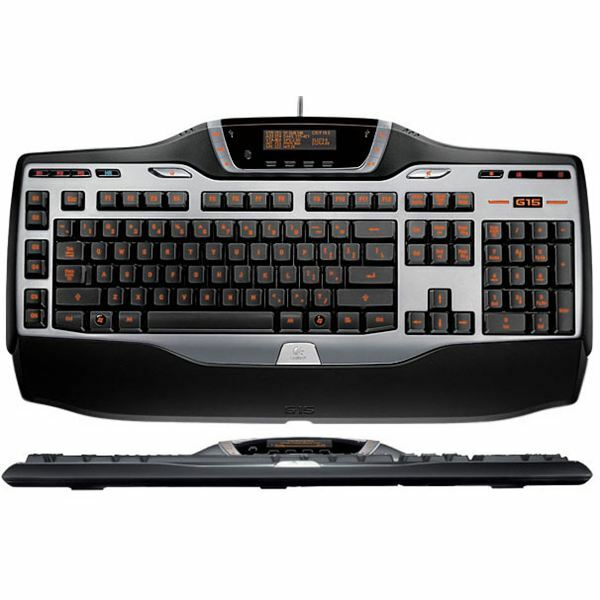 The Cyborg offers multi-color backlighting and 12 programmable “cyborg" buttons on the far left and right of the keyboard. Some say that it is hard to get used to the buttons being so far apart, but that is simply a matter of personal preference. 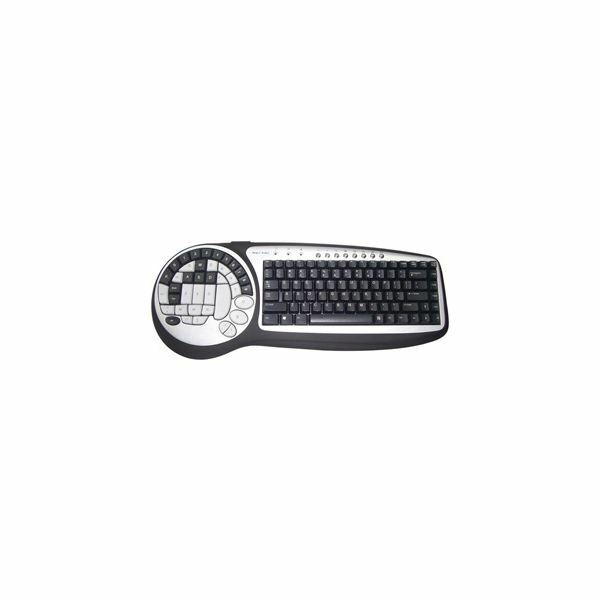 With this keyboard, you can enter into Cyborg Mode, in which all windows keys are disabled and it switches to the pre-defined settings with the click of one button. With 18 programmable keys and a sleek design, the Logitech G11 is worthy of being on this top ten list. As a leader in computer peripherals, you can be sure that you’re getting a quality product. The G11 is backlit and comes with a wrist rest, although many gamers prefer and gel one. Unlike some of the other gaming keyboards, this one is a little more inexpensive than some of the more flashy keyboards on the market. If you’re looking for a good quality gaming keyboard with programmable buttons, but have a tight budget, definitely take a look at the G11. 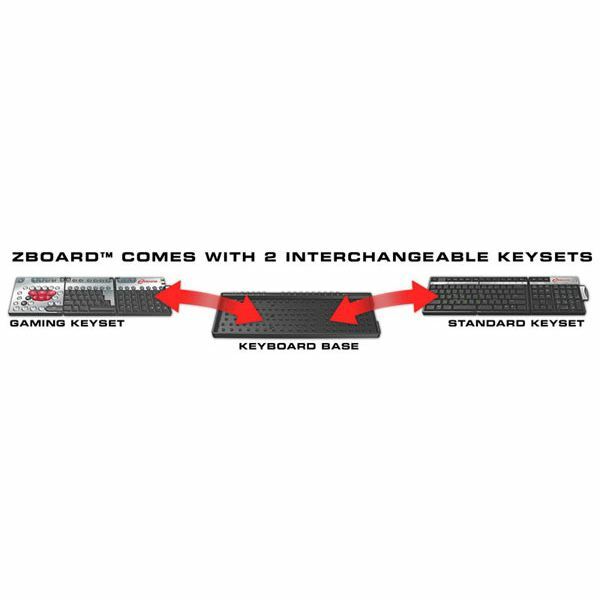 The Ideazon Zboard is an extremely versatile keyboard. Basically, this keyboard has many game keysets available for purchase. The great thing is that they have keysets available for some of the most popular games on the market, including ones such as Counter-Strike, World of Warcraft, and Battlefield 2142. As the picture below suggests, the keysets fit right over the main keyboard unit. The downside is that you have to buy the keysets, which run $19.99 each. However, this keyboard offers a level of customization for your favorite games, and can always be upgraded as new games are released. Much like the Merc Stealth, the Wolf King Timberwolf offers a very easy to use hybrid gaming experience. It lacks some of the flash that the Stealth has, but it is still a great bargain and it functions very well. 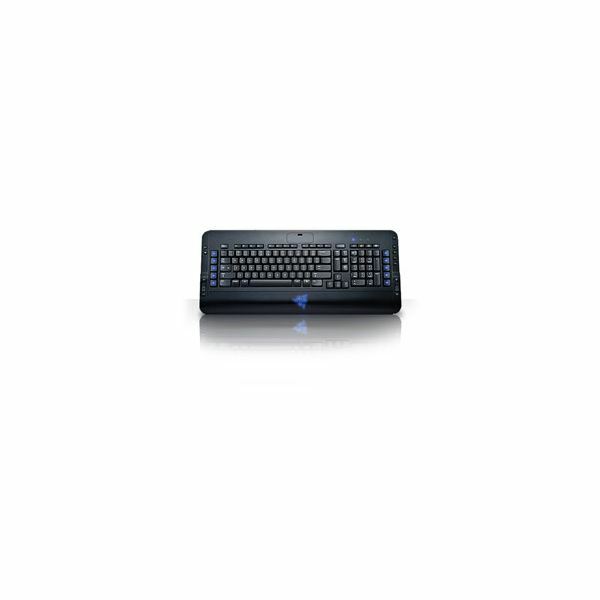 The Logitech G15 (version 2) has a lot to offer, even over the first version of this keyboard. One of it’s most attractive features is an LCD display built into the top of the keyboard which shows game and system information. 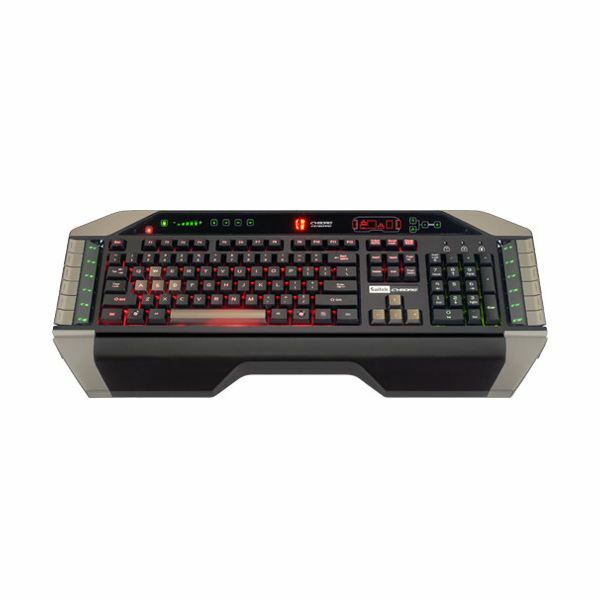 This is a rugged keyboard and have illuminated characters that offer excellent visibility in low light situations. At $100, you pay a little more for the LCD screen, but it is cheaper than some of Logitech’s older models with LCD screens on them. 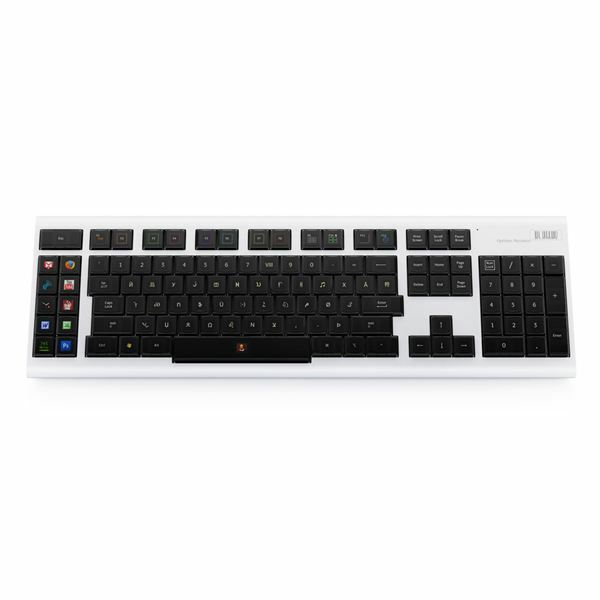 The Microsoft Sidewinder X6 features 30 programmable keys and two colors for the backlighting. The most unusual feature to this keyboard is that the keypad can detach and fit on either side of the keyboard. It also has mode switching with one button, which is convenient for the transition from a regular keyboard to a gaming keyboard. It would be nice if the design was a little more polished and attractive at its price, but that is purely cosmetic.